One clever way to prepare for Christmas gift giving is to have a few batches of cookie dough in the freezer. 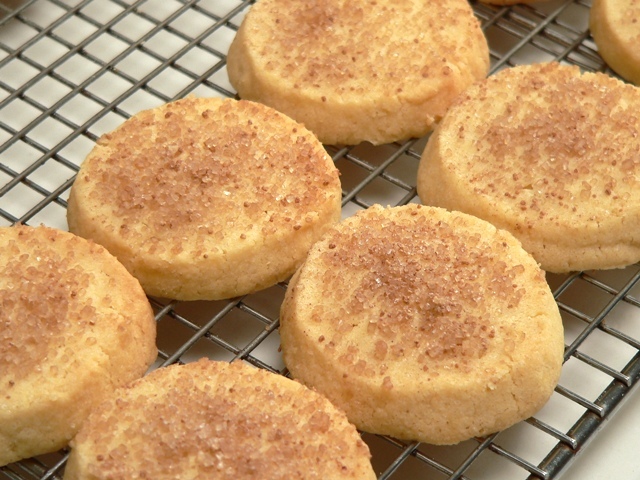 This shortbread recipe, created by Ming Tsai, will keep for a week in the fridge or a couple of months in the freezer, provided the logs are well wrapped. Having frozen cookie dough on hand is very empowering – you can have a freshly baked gift ready to go in under an hour. Package these in homemade origami boxes, and you’ll feel like a true domestic goddess! Note: our homemade vanilla extract has a sprinkling of black seeds in it, so I don’t usually bother with the vanilla pod. 1. You’ll need a big mixer for this recipe. In a large bowl, cream together the butter, sugar and salt on medium until well blended (about two minutes). Add the egg yolks one at a time, mixing until incorporated. Add the vanilla extract and seeds. Stop the mixer and scrape down the bowl. 2. While the mixer is off, add all the flour. Turn the machine onto its lowest setting and mix until the flour is completely incorporated. Do not overbeat. Remove the dough and divide it into four, then shape each piece into a log about 25cm (10″) long and 3cm (1¼”) in diameter. Wrap each log in parchment paper (roll it up, then twist the ends to seal) and chill in the fridge for at least one hour. To store rolls in the freezer, overwrap the top of the parchment paper with a sheet of foil, seal tightly to prevent freezer burn, then label with a permanent marker. When using the frozen dough, allow it to defrost slightly before slicing. 3. 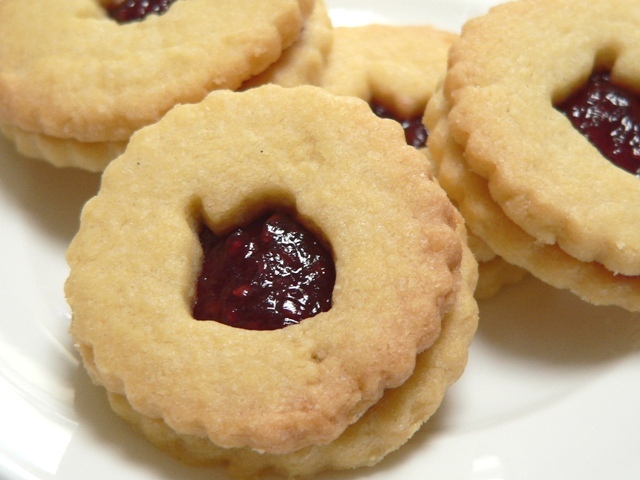 To bake a standard shortbread cookie – preheat the oven to 160C /320F (with fan). 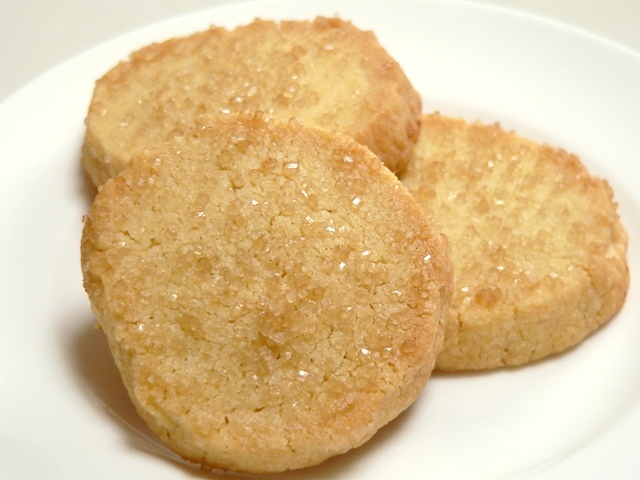 Slice the chilled dough into 1cm (½”) discs, then dip each cookie into a small bowl of raw or Demerara sugar. Lay them out on a baking tray lined with parchment, sugar side up. Bake for 15 to 20 minutes, until lightly brown, then allow them to cool on a wire rack before serving. Make sure you don’t overcook these, or they’ll lose their crumbly buttery texture. You can do all sorts of clever things with this dough! Chai Shortbread Cookies – chai lattes are the latest café trend in Sydney, and our local coffee shop was selling bags of chai tea blend. I added a little of this powdered mix to the Demerara sugar and dipped the cookies in it before baking – the result is a sophisticated cookie with hints of cardamom, cinnamon, ginger and cloves. Chai mix is also readily available at Indian spice stores. 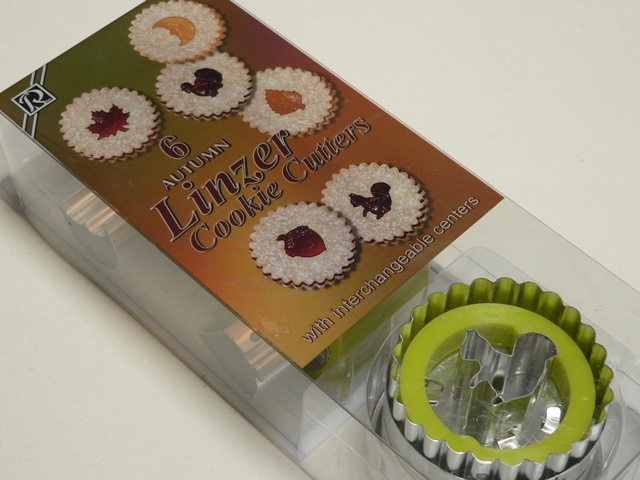 Linzer Cookies – my friend Christina, bless her, brought me back these snazzy cookie cutters from the US. I rolled the dough out onto a sheet of parchment to a thickness of about 5mm, then cut tops and bottoms with the cutters. These were baked for ten minutes each and allowed to cool, before sandwiching with some of Pete’s delicious raspberry jam. Tarts – roll the dough out thinly and bake it in a small tart pan for a crisp base. Once cooled, fill it with some homemade lemon curd (which only takes a few minutes in the microwave) or chocolate ganache and you’ll have an instant dessert. More freezer dough recipes to come!